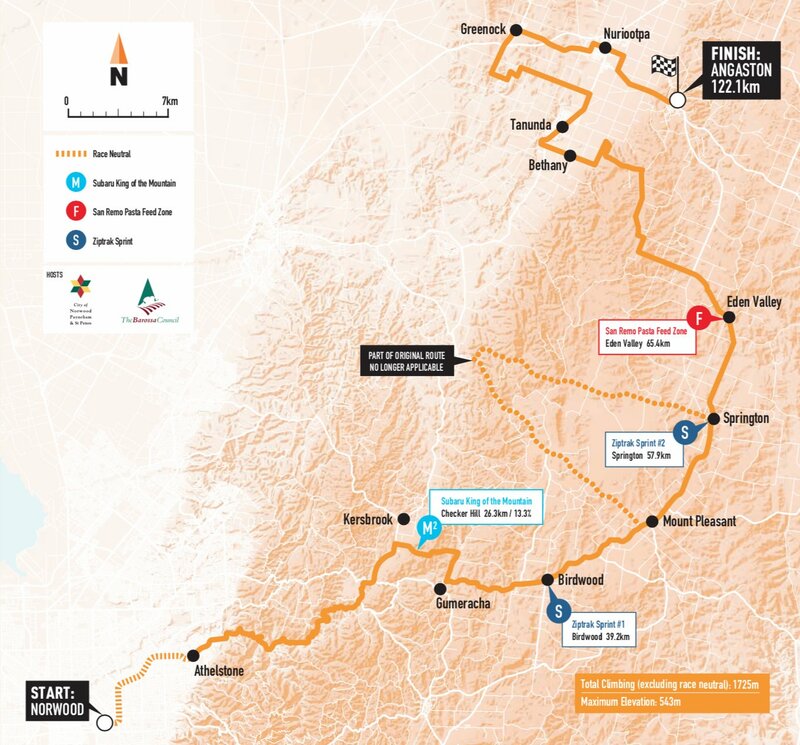 Due to the extreme heat, the organisers have reduced this stage from 149km to 122.1km. This is a good decision for all, especially the riders. The stage is nice and easy for the bunch. They’ll let the early break go up the road and gradually bring them back in time for the sprint. 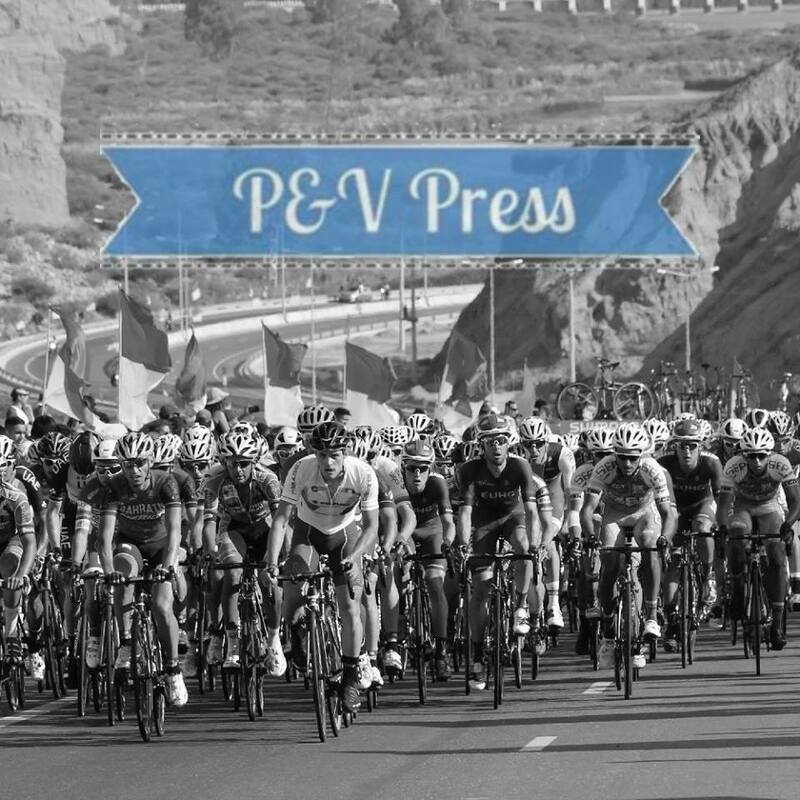 The GC teams will be watchful for any threats trying to make the move, they made a mistake letting Bevin and Storer away in stage 1. 42 degrees, I really do feel sorry for the riders. Nothing to overly concern the riders here, but the road does start to rise as we approach the finish. Once inside the final kilometre, we have 700m at 3%, leading into a flatter finish. The big difference between this finish and yesterday’s finish is the width of the roads. 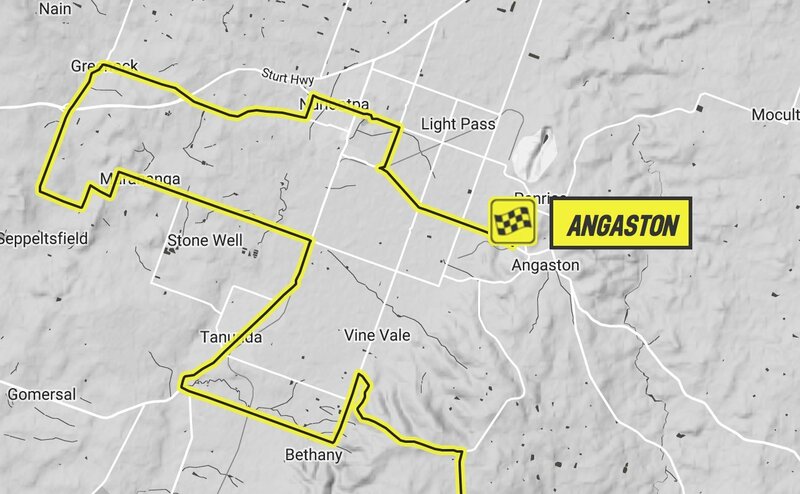 The closing kilometres is on standard two lane roads, which is narrower than stage 1, meaning it is likely we’ll see a team dominant the closing kilometres, but which team? Caleb Ewan– after working all day, Lotto made a huge mess of the sprint. To me it seemed that Marczyński and Hansen didn’t have the speed to compete with the rival trains. This leaves with Lotto with an interesting decision to make about their tactics. Ewan clearly arrives in good from, as does Kluge, but need to be higher up the bunch in the final 2km. The team might decide to shorten their train, something that worked well when Andre Greipel did it. The rise towards the line is very good for Ewan, he loves a tough finish. Elia Viviani– his final 200m was a thing of beauty, the perfect combination of speed, bravery and luck. QuickStep didn’t do a conventional lead out, instead, Mørkøv was happy to deliver Viviani to around 15thwheel for the final 300m. The headwind worked perfectly with the tactic, as Viviani was able to come around Walscheid in the final 100m. Going into this stage, the same tactic can again be played. The uphill run to the line means that coming from a little deeper will work well and I think QuickStep will be tempted to try the same move. Viviani’s finish showed his legs are already moving pretty well! Peter Sagan– didn’t get going, an indication that is current form isn’t particularly good. You can never discount him, but I will! Sagan isn’t winning this stage. Max Walscheid– the German would have been disappointed with finishing 2nd, but he should actually be pleased with himself. Sunweb were the ones with a great lead out, Bol and Kanter worked very well together. Walscheid’s sprint seemed to be much faster than most, something that should fill him with confidence. He’ll be hoping to go one better in this stage. Jakub Mareczko – similar to Viviani, he finished very fast in the opening stage. We all know he’s quick, but he’s yet to win in the World Tour. I would say that riding for CCC will give him plenty of opportunities and I do expect him to break his duck this season. Is today his day? I don’t think so, he still needs a better starting position. Jasper Philipsen – UAE pulled off something off a coup signing this young Belgian. He’s a rider I’ve followed for a while and this is his type of finish. He was in a great position in stage 1, but a stupid fan stopped him from challenging for the podium. If UAE can put him in a similar position, I expect him to be on the podium. Daryl Impey– the uphill final kilometre brings the South African into play. 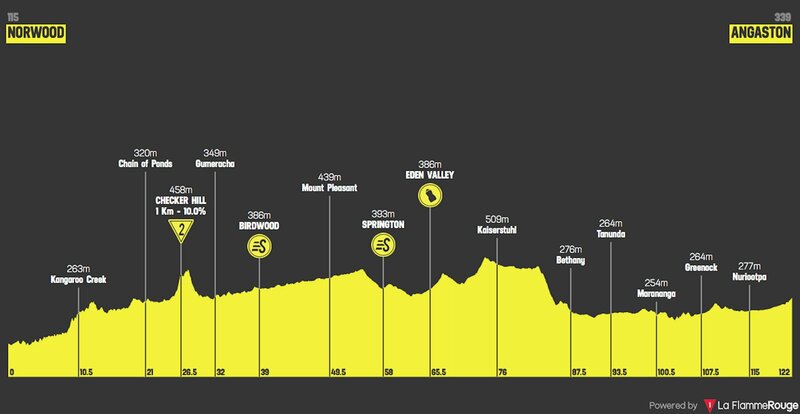 Picking up some bonus seconds in a sprint stage would be hugely significant and I expect to see Mitchelton-Scott looking to hit the front in the final 2km. There are many questions surrounding the other trains, but the Aussies look good. Impey as an outside chance of making the podium. I can’t imagine that Lotto will make another mess of things. Yes, Viviani looks quick, but I still think Caleb Ewan is the man for the win. I’m sure the team meeting will have been an honest affair, the riders will want to make up for a poor performance.